Explore the Online Portfolio. There are four galleries to browse through- Paintings on Vellum, Works on Paper, Nature Art and Sketches & Studies. If you wish to purchase a painting, please visit the Shop for available artwork. 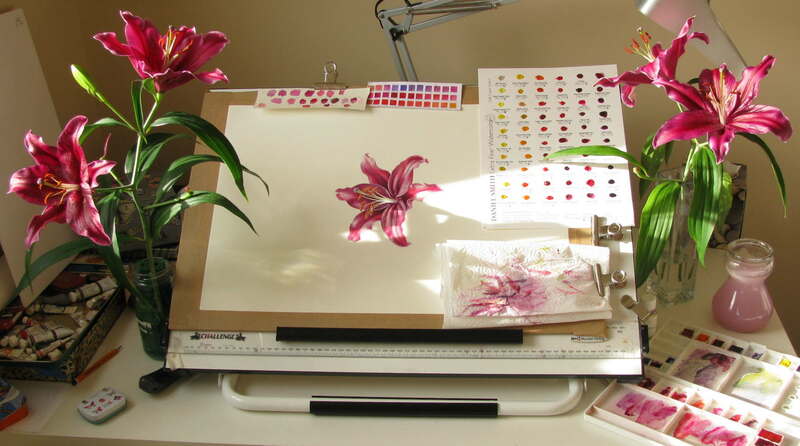 Learn botanical art from the comfort of your own home. 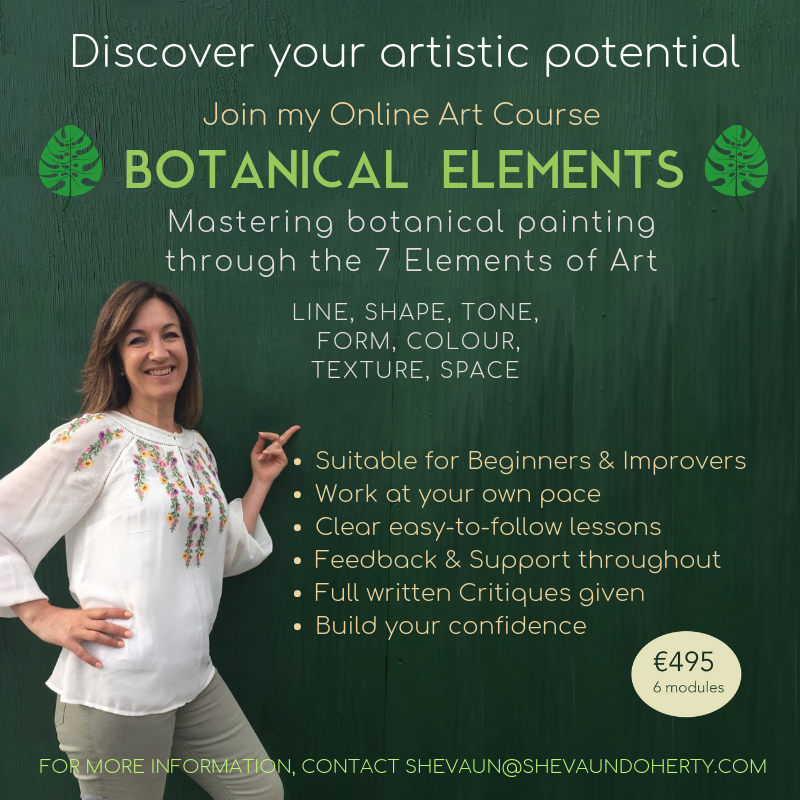 My online course ‘Botanical Elements’ will guide you through the techniques needed to paint with confidence. Feedback and encouragement are given throughout. 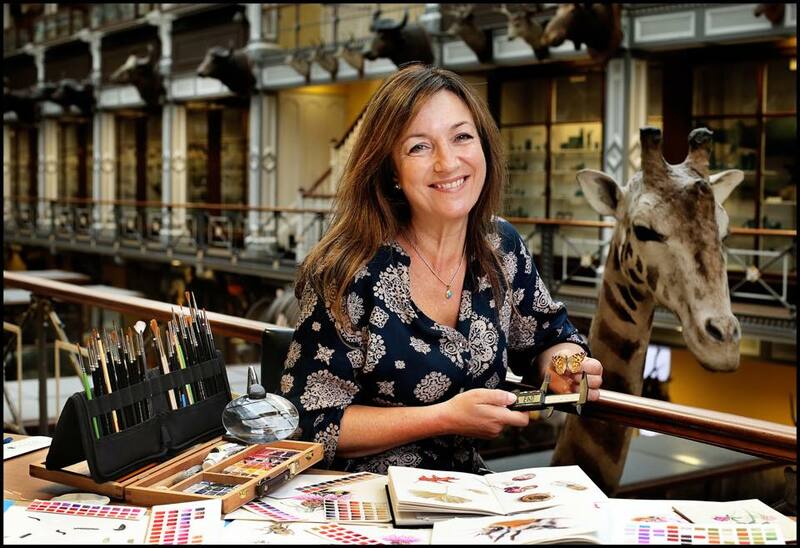 Workshops, Demos and Exhibitions- an artist’s life is always exciting! I love meeting people and give regular workshops in Ireland and abroad. See my calendar for upcoming events. Read the stories behind the paintings in my blog. Looking for the perfect gift? I have a range of limited edition fine-art prints and original paintings available in the online Shop and a secure easy payment system. For commissions and enquiries, please feel free to contact me. 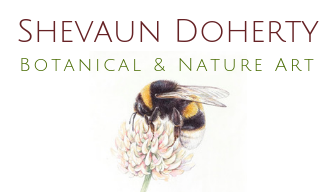 I’m Shevaun Doherty, Botanical Illustrator and Art Tutor. 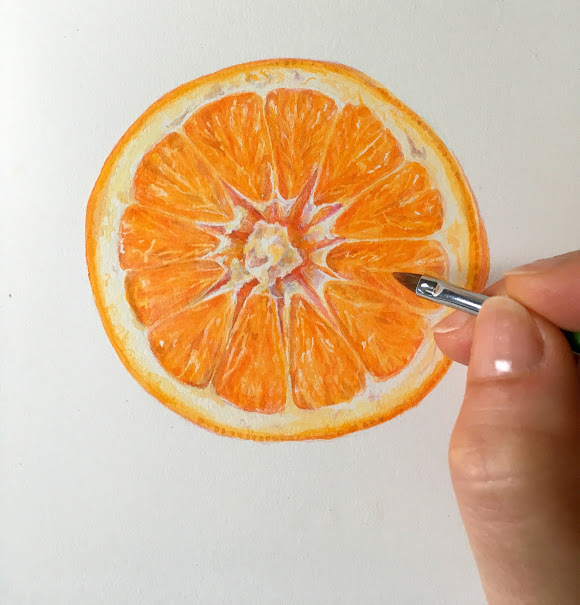 My art is inspired by the natural world, using watercolour paints to capture light, colour and texture on paper and vellum in intricate detail. I love the quiet meditation that painting brings, immersing myself fully in nature. Teaching is my other great passion. It allows me to share my enthusiasm for art and nature with others. I travel regularly to give workshops and enjoy helping students master watercolour techniques. I run my own online botanical art course, ‘Botanical Elements’ where I encourage, mentor and guide artists on their botanical journey, working at their own pace. Distance Learning is a great way to learn as it allows you to develop your own style. I studied botanical art whilst living in Egypt, so appreciate the benefits that distance learning offers.. I went on to become a full member of the Society of Botanical Artists, and now teach on the very course that I graduated from. If I can do it, anyone can! Botanical Art has enriched my life. It’s where art, nature and passion meet.